A White Card, sometimes referred to as a General Construction Induction Card (CIC), is a mandatory card required by all workers who want to work on a construction site. It is proof a person has undertaken and completed Occupational Health and Safety (OHS) induction training related to the construction industry. 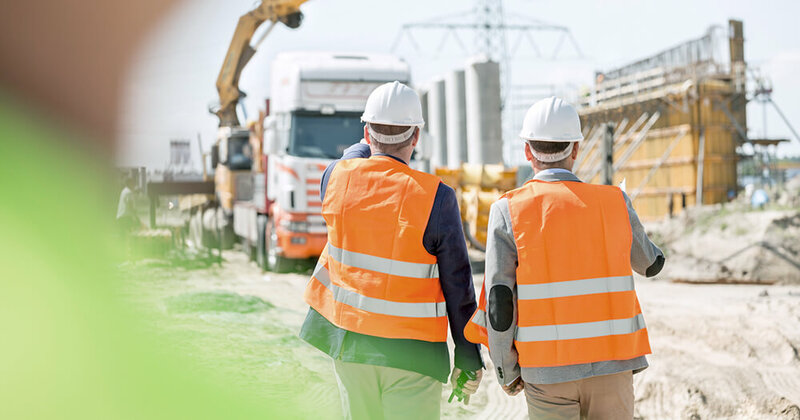 OHS induction training involves learning the basic principles of risk management, and injury and illness prevention in the construction industry, as well as all OHS legislative requirements. People who need a White Card include site managers, supervisors, surveyors, tradespeople, or any workers whose job requires them to access a construction site to carry out construction work such as renovation, repair, maintenance, demolition or dismantling of a structure. People who are exempt from needing a White Card are visitors to a construction site who are accompanied by someone who has a White Card, and people temporarily visiting a construction site to deliver supplies, material, or services where a risk assessment indicates any risks can be controlled. A White Card, however, is not a Builder’s Licence, which is only legally required by someone who is a site supervisor, manager, or foreman and their role will be to oversee a construction projection. Anyone who requires a Builder’s Licence would need to have a White Card. Once you have a valid White Card, it is recognised nationally, which means you will be able to work interstate at a construction site if you need to, provided you can prove you completed the induction training in your home state. Below is a breakdown of how to get yourself a White Card in your state or territory. You must complete a general construction induction training with a Registered Training Organisation. Find your nearest White Card trainer here. You will then need to provide the trainer with 100 points of ID, which can include your Australian birth certificate, drivers licence, Medicare card, ATM card, and utilities bill. The trainer will then provide you the application forms you need to apply for a White Card, which you can then submit to SafeWork NSW. If you have a green card, it is no longer valid in NSW, or any states or territories. You will need to attend a construction induction training to obtain a valid White Card. Anyone who is performing construction is required to complete a general OHS construction induction (CI). The only exception of when you do not need CI training is when owner builders are carrying out construction at their own domestic premises, which is not considered a workplace. To obtain a White Card, you must complete a general OHS induction training with a Registered Training Organisation, which you can find here. The RTO will then issue a ‘statement of attainment’ to WorkSafe as evidence you have satisfactorily completed the training and provided them proof of identity. A construction induction card or a White Card will then be issued by WorkSafe Victoria. As long as you have a statement of attainment, you can carry out construction work while you wait to receive your construction induction card. A person can be exempt for up to 28 days without completing construction induction training if they have not done any construction work in the past two years, and the employer has arranged and paid for them to do construction induction training. This is to ensure you can work while you wait for training. However, the person who has been exempted must be directly supervised at all times, and be given the information and instruction they need to work safely. Formerly known as a Blue Card, the General Construction Induction Card requires a person to undertake training with a Registered Training Organisation (RTO) that conducts the general construction induction training. This course unit is otherwise known as CPCCOHS1001A - Work safety in the construction industry. Once you have successfully completed the training, the RTO will issue evidence that you have completed the training known as a statement of attainment. You should keep the evidence of completion of training as it may be required to replace your card in the future. If you have a Blue Card, you do not need to change to a White Card unless you are enrolled in a training course that requires you to complete the CPCCOHS1001A course as a prerequisite. If you lose, damage, or destroy your Blue Card, you can contact your relevant RTO to replace it with a White Card, and you generally will not need to complete the new CPCCOHS1001A course. The first step to obtaining a White Card is to undertake construction induction training with a Registered Training Organisation (RTO), which you can find here. Once the training is completed, the RTO will require a proof of ID before they issue you a statement of attainment that you have completed the course, CPCCOHS1001A - Work safety in the construction industry. The RTO will also issue the White Card. White Cards issued in South Australia can be obtained by undertaking White Card training, otherwise referred to as construction induction training, with a Registered Training Organisation (RTO). You can find a list of RTOs on the National Register. The course that you need to complete is known as CPCCOHS1001A - Work safely in the construction industry. If you have a White Card that was issued before 1 July, 2011, it is still valid. To qualify for a White Card in Tasmania, you need to complete construction induction training with a Registered Training Organisation (RTO). A full list of RTOs can be found on the Skills Training website. A statement of attainment will then be issued as proof that you have completed construction induction training. You will need to take a copy of the statement of attainment, complete an application form, and evidence of identity documents, and lodge it with a Service Tasmania shop. A fee will also need to be paid. Service Tasmania will review the documentation and forward it to WorkSafe for processing. According to NT WorkSafe, construction workers need to complete a general construction induction training delivered by a Registered Training Organisation in order to apply for a White Card. A full list of registered training organisations in NT can be found here. Following the successful completion of the training, you need to supply a completed application form and a copy of your statement of attainment, which is issued by the registered training organisation, stating you completed the training, to the Territory Business Centre before a White Card can be issued. You must apply for White Card within 60 days of completing your training. Anyone looking to apply for a White Card in the ACT is required to complete the general construction induction training with a Registered Training Organisation. After successfully completing the training, you must apply for a General Construction Induction Card within 60 days. You can apply for a General Induction Card online with Access Canberra, provided you have a copy of your statement of attainment issued by the registered training organisation stating you completed the training and proof of identity. Get the right mix of skills and practical training to ensure you’re qualified to take on the next job with an Open Colleges Building and Construction course. Aimee Chanthadavong is a magazine journalist who believes there’s a creative and original story behind everything that is waiting to be told. Aimee was also responsible for launching RetailBiz magazine, which was a finalist of the Publishers Excellence Awards 2012 for the Launch of the Year.